See TQ3294 : The New River north of Ridge Avenue, N21. 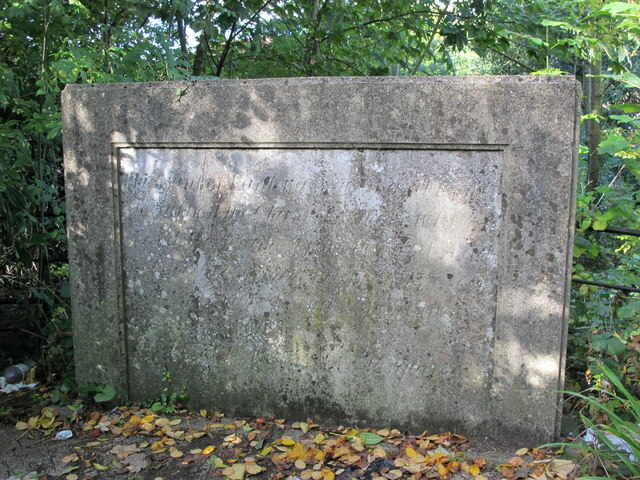 The inscription on the plaque reads "This Bank of Earth was raised and formed to support the channel of the New River. And the Frame of Timber and Lead which served that purpose 173 years was removed and taken away. MDCCLXXXVI. Peter Holford Esquire Governor".